The Louis W. Ringger Story. 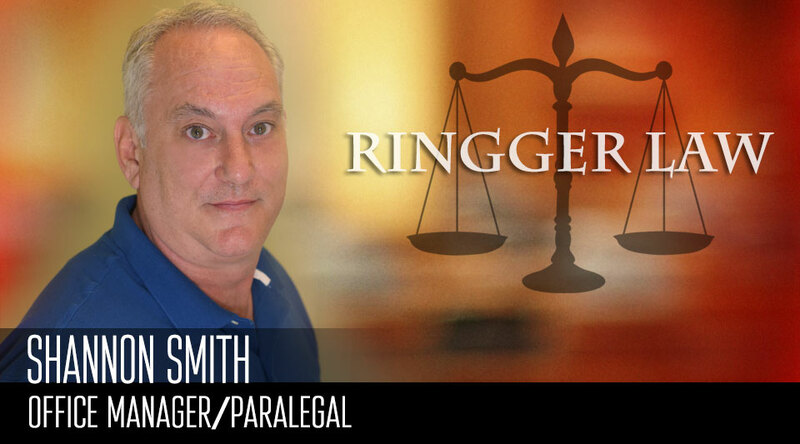 The Law Offices of Louis W Ringger were founded by Bill Ringger in 1981. They were originally located in Scotts Hill, Tennessee. Bill was living at that time in Memphis and making frequent trips to the Tennessee River at the southern end of Decatur County. As his presence and time increased in the County, he began to provide legal services in Decatur and the adjoining Counties. During this period he was also working in Memphis and commuting between both locations. In the latter part of 1981, seeing that it was not feasible to maintain a presence at two spread-out locations he chose to build his legal practice in Scotts Hill, with the support of the local community. In 1982, Bill moved to Decaturville, and associated with James and Jim Smith, finding it an advantage to be located in the County seat. About this time Bill was called to active duty in the U.S. Air Force. He served two years at a missile base on the northern tier of the United States and spent two years at the Headquarters of Strategic Air Command, Omaha, Nebraska. He completed his term of active duty as a Captain and eventually was Honorably retired in 1992. Coming from active military duty, Bill returned to his legal practice in Decaturville, Tennessee. He practiced there until he moved his practice to Jackson, Tennessee. Bill arrived at the current location of his office in downtown Jackson, in 2004, and currently maintains a general practice with the aid of three trained professional paralegals with emphasis on consumer bankruptcy, personal injury, criminal law and wills and estate planning. He is the Municipal Judge in Decaturville, and has held a position as tax attorney for Perry County, Tennessee for over ten years. He is a member in the Jackson-Madison County Bar Association, the Memphis-Shelby County Bar Association, Tennessee Bar Association, and the American Bar Association. He is also a member of several professional Bankruptcy legal Associations, the National Association of Consumer Bankruptcy Attorneys and the American Bankruptcy Institute. Finally, Bill is qualified as a Rule 31 mediator of the Supreme Court of Tennessee. Bill is a native West Tennessean, born and raised in Memphis and Fayette County. His father was an employee of Ford Motor Co. for nearly fifty years and his mother a paralegal in Memphis. He attended public school in Memphis and graduated with a Bachelor degree in Engineering and eventually a Juris Doctor degree from then Memphis State University. He later attended the University of Southern California at Los Angeles pursuing graduate studies in Public Administration. Bill resides with his wife, a retired Registered Nurse in Parsons, Tennessee, and visits frequently with his daughter and her husband with their two children in Nashville. His son resides in Knoxville, where he practices law with a local firm. Bill enjoys outdoor activities on the Tennessee River and spending time with his family. Shannon was grew up in Trenton, Tn and attended school Peabody High School. He is a former U. S. Marine. He later attended Union University and graduated with a Bachelor of Science in Organizational Leadership. Shannon came to Ringger Law in 2006, employed as a bankruptcy paralegal. He later became office manage in 2014. He lives in Jackson, TN and during his leisure time enjoys reading and yard work. Trish grew up in Bradford, Tn and attended Bradford High School. She graduated from Bethel University with a Bachelor of Science in Management & Organizational Development. 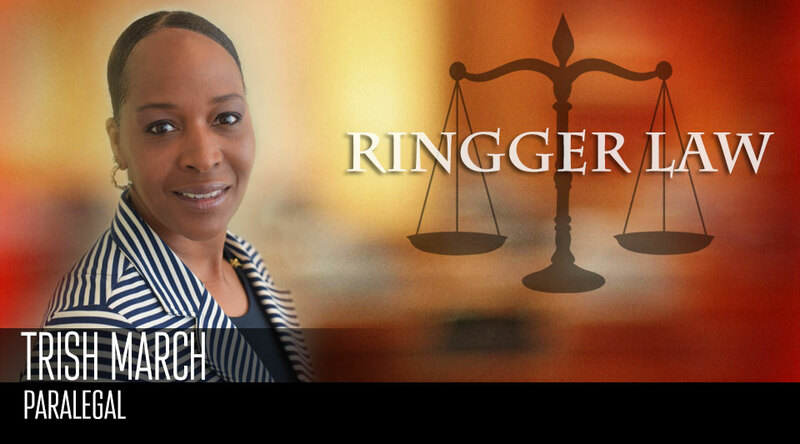 Trish came to Ringger Law in 2010, employed as a bankruptcy paralegal. She currently resides in Jackson, TN. During her leisure time she enjoys shopping, fishing, and family time. Mary was raised and has lived in the West Tennessee area all her life. She attended school at North Side High School, and later graduated from Lambuth University with a Bachelor of Arts and attended the University of Memphis for post-graduate studies in literature. Mary also attended the Southeastern Paralegal Institute, located in Nashville, Tennessee. 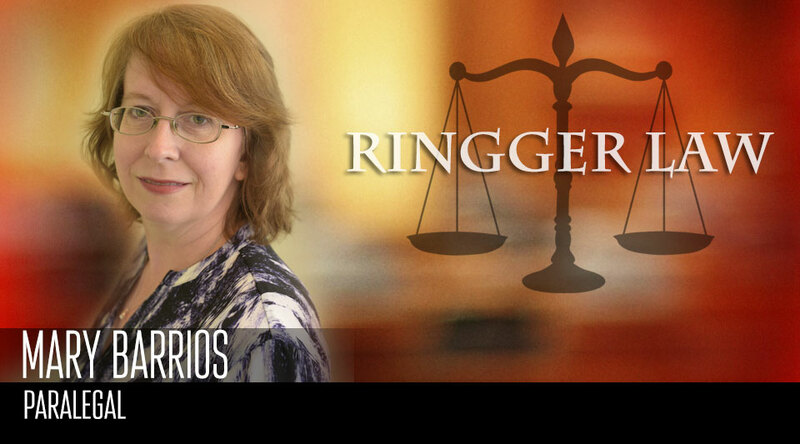 Mary started work as a paralegal in 1998, and after a few years off, was employed by Ringger Law in 2011. What little leisure time she has, she enjoys it by reading, spending time with her children, playing with her pets, and gardening. The Law Office of Louis W. Ringger offers relief for the people of West Tennessee. 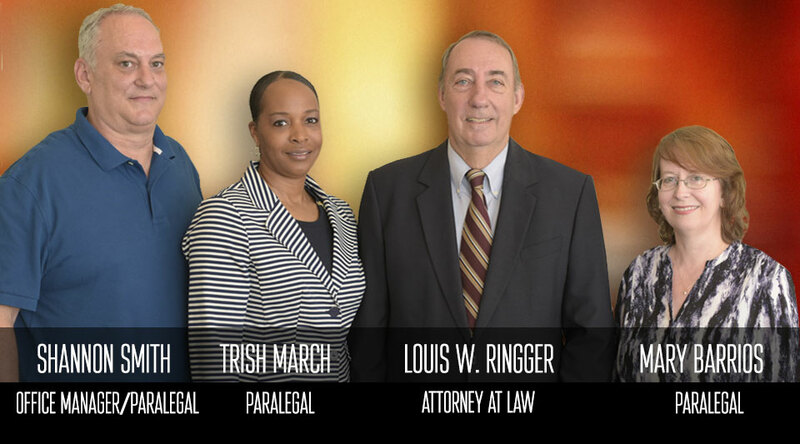 The team of Louis W. (Bill) Ringger, Shannon Smith, Trish March and Mary Barrios, with over 50 years of legal experience getting people the help they need and deserve. If you are having problems with debt, Criminal Charges, have become disabled, been injured or have other legal issues, you need the services of a qualified attorney to assist you. Bill Ringger and his friendly knowledgeable staff are ready assist you with compassionate service and personalized attention. If you need help with debts, disability, personal injury or a criminal matter. Relief is just minutes away. Our law practice is located in downtown Jackson, Tennessee and proudly serves all of West Tennessee.